The weather pattern across Europe has been quite dynamic lately, producing widespread severe weather across the Mediterranean region, record warmth across parts of the Balkan peninsula and eastern Europe and also very cold weather across WSW Europe and even snow in Spain and British Isles. Similar trends are seen on the global models also for this week – deep troughs and lows over N Atlantic and WSW Europe with strong ridging to the east and north Europe. And therefore a very warm period should continue until mid November at least. A large upper ridge dominates east and north Europe, a deep trough / low is moving across Iberian peninsula. In between, very warm airmass is being advected across central Europe towards the Baltic region. 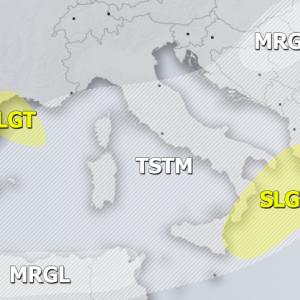 A weak upper low over the Mediterranean brings more rainfall across Italy and towards the Alps. The SW European upper low pushes towards western Mediterranean, bringing much colder airmass into Spain, Portugal and Morocco. A new deep trough develops over the N Atlantic. A strengthening upper ridge is centered over the Baltic region and brings an extremely warm airmass into the mid-levels; more than 16 °C warmer than usually for early November! The strong upper ridge over the Baltic region moves into NW Russia with extremely warm airmass advected further NNE. The upper low over SW Europe vanishes while being pushed towards the N Medtierranean while trough over the Atlantic deepens. 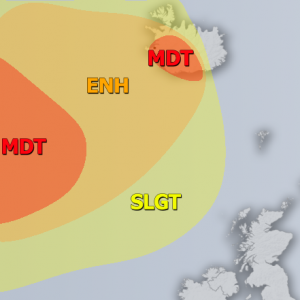 Windy and rainy day is likely for British Isles, France and Iberian peninsula. The upper ridge over the NE Europe and NW Russia slightly weakens but expands into northern Europe and Arctic region as well. A large deep trough dominates Atlantic and another short wave trough develops towards the SW Europe. This will result in strong SSW winds towards the western and central Europe. Strong ridge dominates the Arctic region while deep N Atlantic trough ejects a short-wave into SW Europe, resulting in unsettled conditions across Iberia and France. Ridge begins developing over the Mediterranean region while very warm airmass remains over the NNE Europe. Deep N Atlantic trough moves closer to the western Europe, with a short-wave pushed into the northern Mediterranean region. An upper ridge remains over the Arctic region. This pattern should spread the warm weather across much of our continent. An upper trough over the N Atlantic expands and dominates the western half of Europe and N Atlantic, advecting very warm airmass ahead of it into central and eastern Europe. Upper ridge over the Arctic region pushes towards the northern Russia. By early to mid next week, an upper trough remains over N Atlantic and western Europe while upper ridge develops from the Mediterranean region into the Balkan peninsula. This establishes a very warm period across much of Europe, extending this unusually warm period for another week – but more details on this later. We will be updating our page with further details on the separate systems through this week – stay tuned!